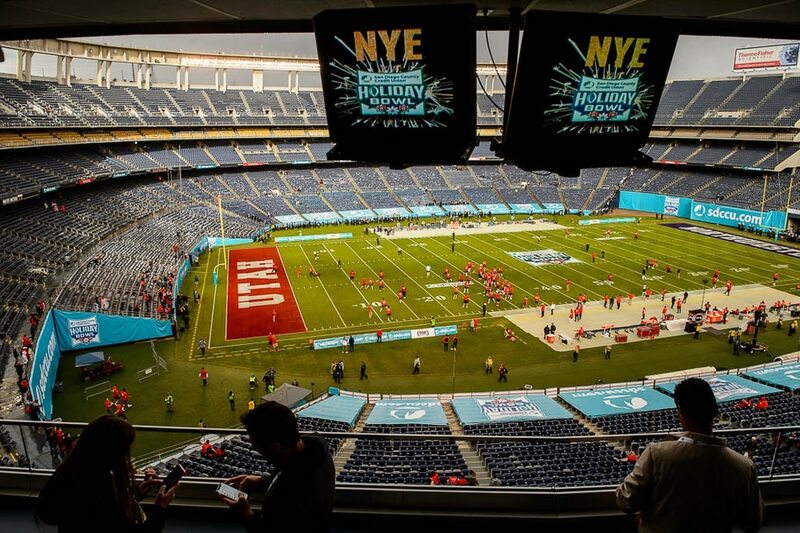 San Diego • For half of the Holiday Bowl, Utah did what the Utes usually do in December. And then they crumbled, to a stunning degree. Northwestern scored 28 points in the third quarter of a 31-20 victory in the rain Monday night at SDCCU Stadium. “When we're in control at halftime, we win about 98 percent of the time,” coach Kyle Whittingham said. In this case, a 20-3 lead evaporated during a shocking stretch of a game that somehow got away from the Utes. That's one graphic way to describe a collapse that will partly spoil this season, eventually to be remembered for Utah's first Pac-12 South championship. Utah will have to live with a double dose of disappointment. Counting a frustrating loss to Washington in the Pac-12 championship game, the Utes (9-5) will carry consecutive defeats into the offseason for the first time since 1996. This episode will bother them, just because of how they were dominating Northwestern behind Jason Shelley's two touchdown passes in the first half. No. 17 Utah had hoped to win a sixth straight bowl game and earn the program's second 10-win season of the Pac-12 era. Those achievements seemed likely, before No. 22 Northwestern (9-5) scored four touchdowns in the third quarter, with the Wildcats' run partly – although not completely – attributable to Utah's four turnovers in the period. One play especially will haunt the Utes. Imagine this: Utah had a first-and-goal opportunity at the Northwestern 6-yard line with less than seven minutes remaining in the third quarter, leading 20-10. By the start of the fourth quarter, the Utes were trailing 31-20. Everything changed with Joe Gaziano’s strip-sack of Shelley, as Jared McGee returned the fumble 86 yards for a touchdown. That sequence stemmed from Utah's inability to run the ball against Northwestern's defense. Offensive coordinator Troy Taylor, calling Utah's plays for the last time before moving to Sacramento State as head coach, sent in a run-pass option play. When the pass protection broke down and Shelley couldn't escape the rush, this game was permanently altered. Once the momentum swung to the Wildcats, not even Utah's proud defense could do anything about it. Northwestern's surge “kind of just killed our morale,” linebacker Francis Bernard said. The Utes lost six turnovers: two interceptions of Shelley, his two fumbles and two more fumbles by receiver Jaylen Dixon, after catches. The Utes were mildly disappointed as the first half ended, with the offense settling for a field goal after wasting a first-and-goal chance in the last minute. Even so, Utah's 20-point, 243-yard half was a lot more impressive than the offense's entire production of three points and 188 yards vs. Washington a month ago at Santa Clara, Calif.
With junior quarterback Tyler Huntley not being cleared to play, eight weeks after sustaining a broken collarbone, Shelley made his fifth start. He showed more poise than ever in the first half, continually avoiding the rush and finding open receivers. Shelley passed for 155 yards in the half, including touchdowns of 27 yards to Dixon and 4 yards to tight end Jake Jackson. Utah's defense allowed some long completions in the half, but the Wildcats managed only a field goal after a first-and-goal chance. The Utes played aggressively, with two sacks of quarterback Clayton Thorson stemming from blitzes. Marquise Blair's interception led to Utah's second field goal. But that was the Utes' only takeaway, and everything crumbled for Utah in the third quarter. Concluding his 25th season in the program, Whittingham said he had never experienced a quarter like that. 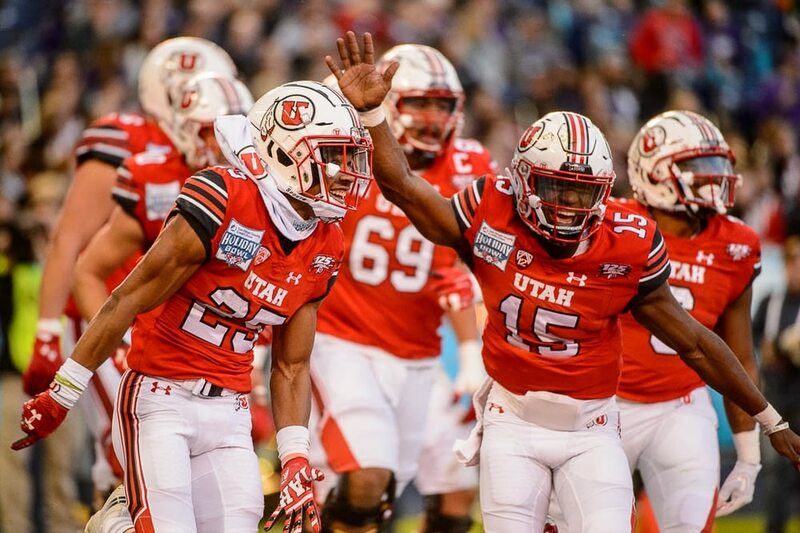 The Utes likely will maintain a Top 25 ranking in the final poll. “You judge the body of work as a whole, not one game,” Whittingham said. Even so, this snapshot will have a lasting impression, as 2018 ended. 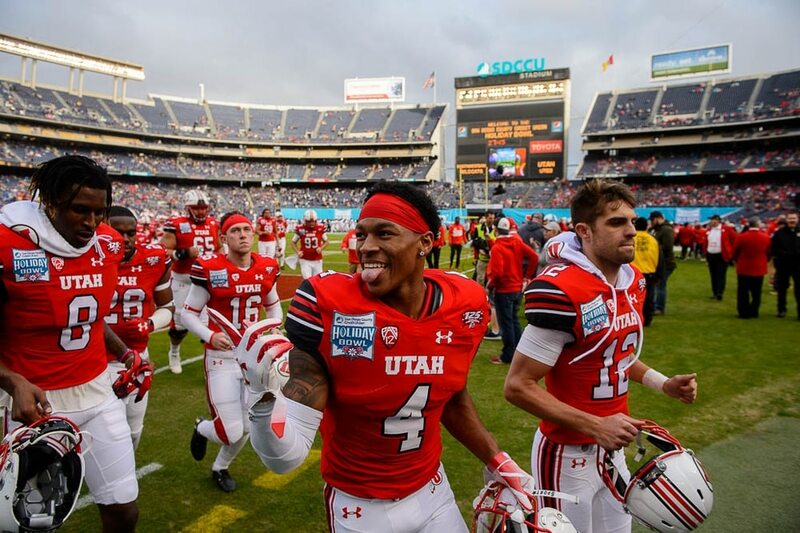 • Utah loses a 17-point halftime lead in a 31-20 loss to Northwestern in the 41st Holiday Bowl. • The Utes lose five turnovers in the second half, one resulting in a defensive touchdown. • Utah is 28-2 in nonconference games in the program’s eight seasons of Pac-12 membership.